With the holiday weekend arriving in hours, you may be considering the list of movies you’ll want to throw up on the TV before, during, and after dinner with your relatives, in order to avoid crazy uncle Larry and the conversations that stem from all of the fake news he consumes through Facebook. Google has you covered in a big way. With a coupon code, you can grab 50% off any movie. However, it also appears that this code can be used for bundles of movies to deeply slash the price on some classics. 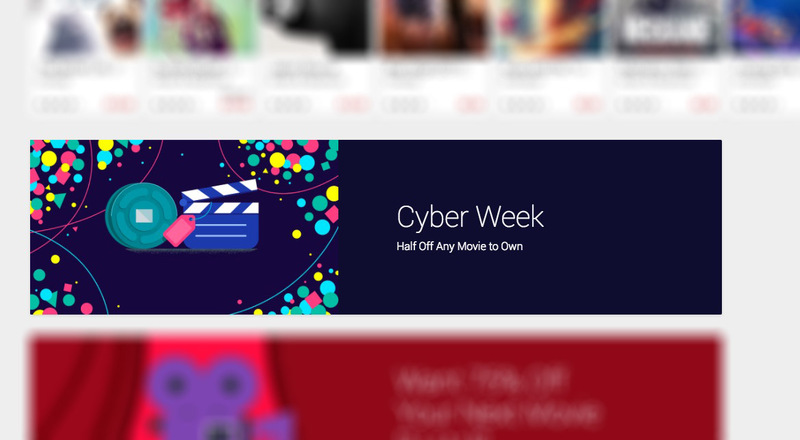 To get the code, you’ll just need to hit up the link below or enter in code “CYBERDEALMOVIES2016.” Once you apply that code to your account, you can start browsing for the best deal. The code will show the final discount during the checkout process. 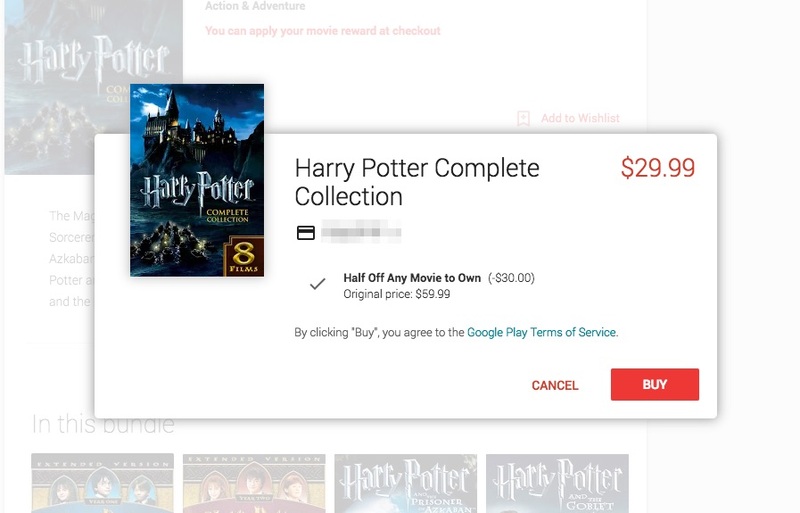 Some good examples of deals include the entire Harry Potter franchise for just $30, Mad Max Anthology for $22.50, and the Die Hard Ultimate Collection for $25. Star Wars works as well. You can view the bundles at this link.